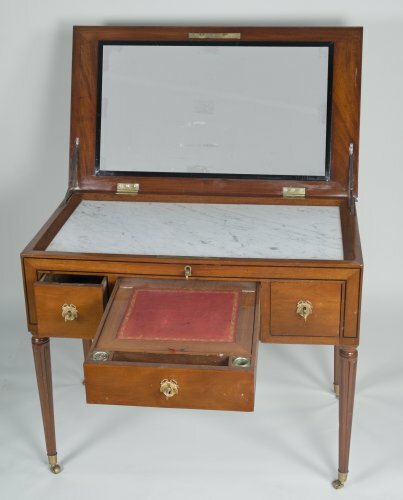 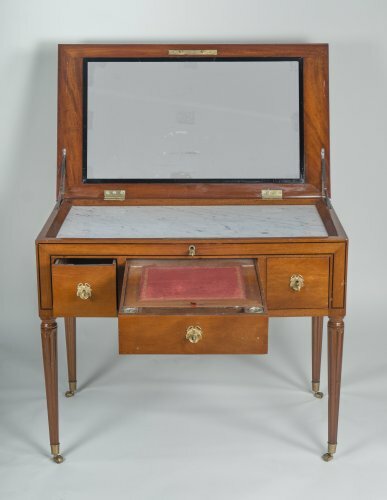 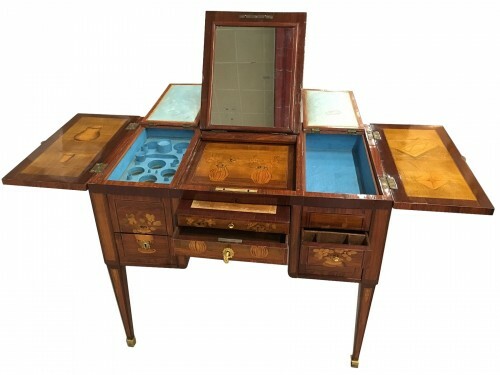 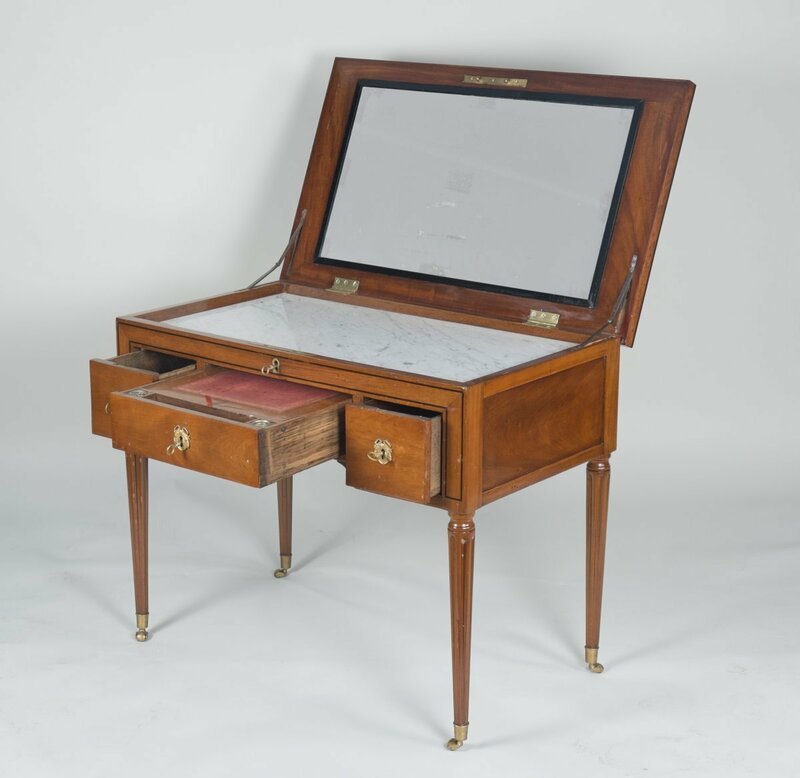 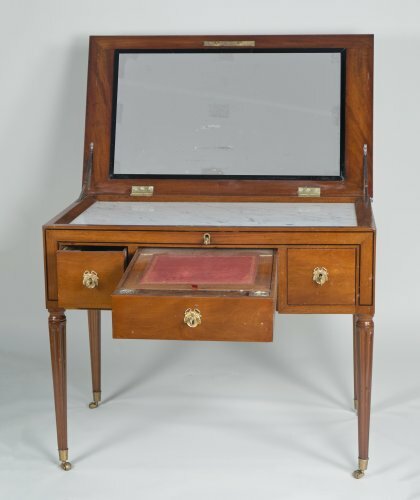 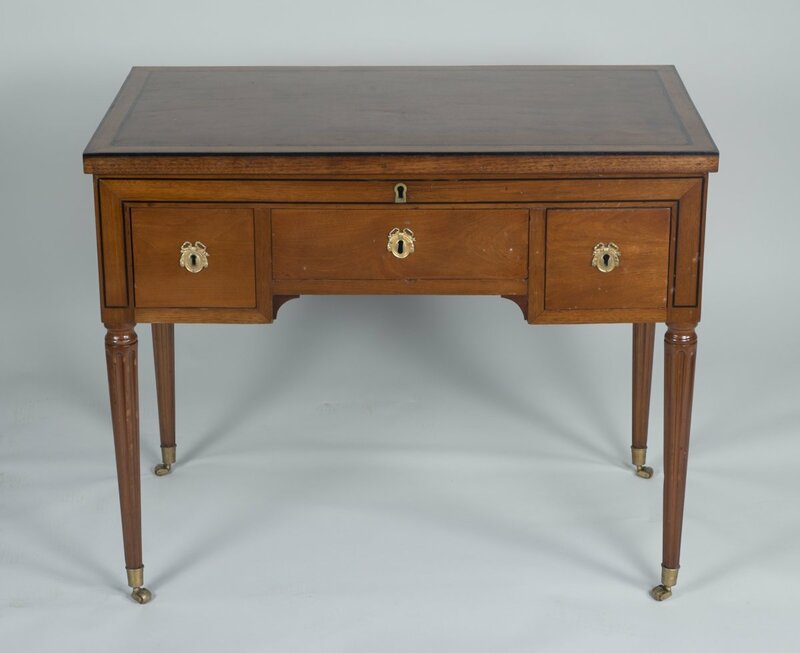 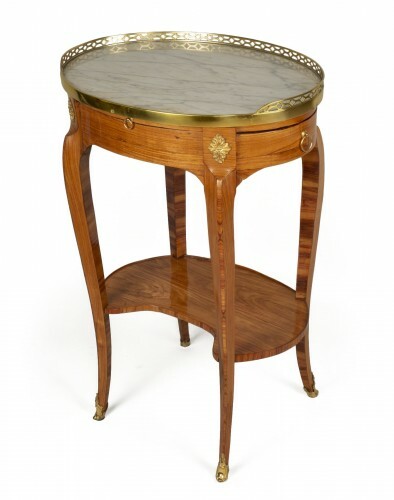 Mahogany coiffeuse from the Louis XVI period. 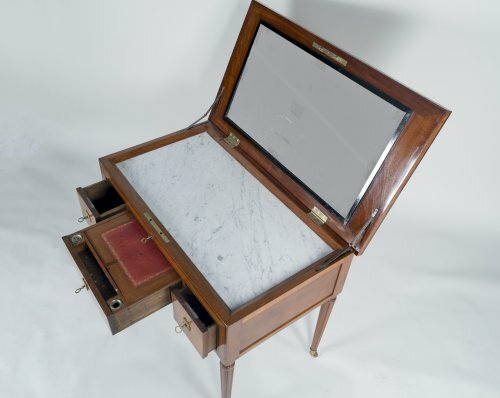 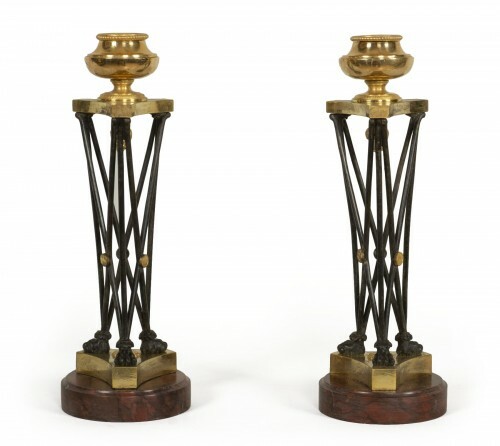 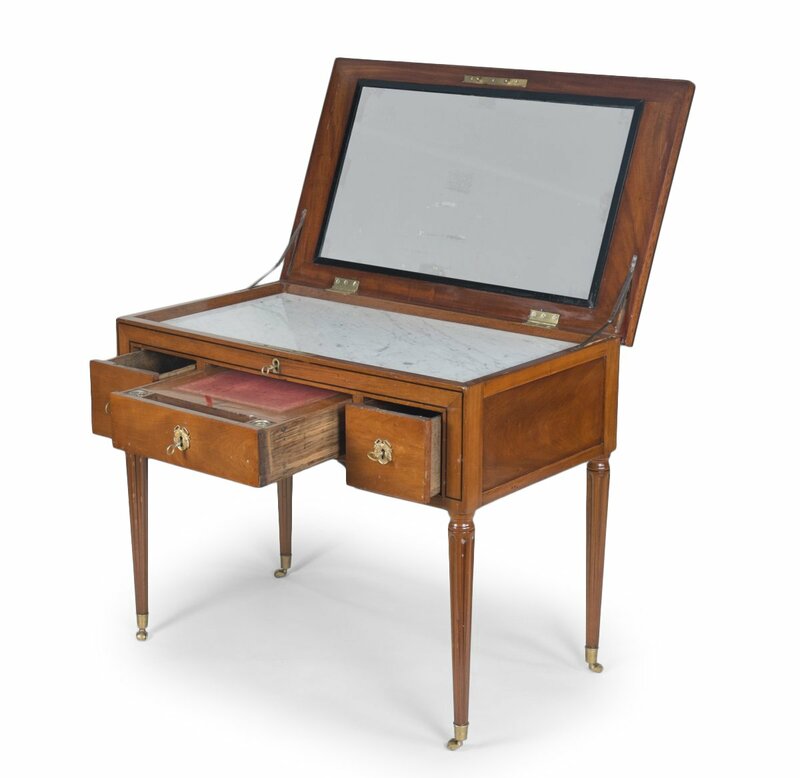 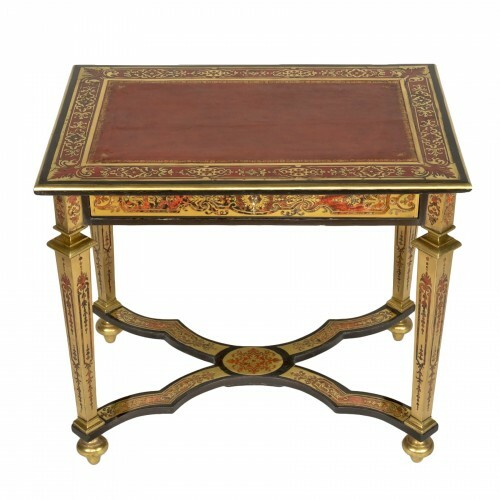 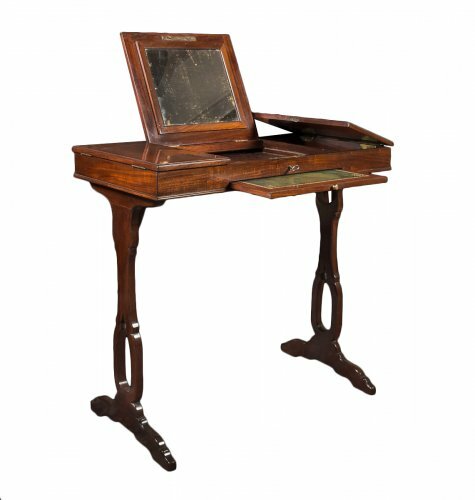 Its flap opens on a mirror framed by mahogany and blackened wood and a marble top framed by solid mahogany. 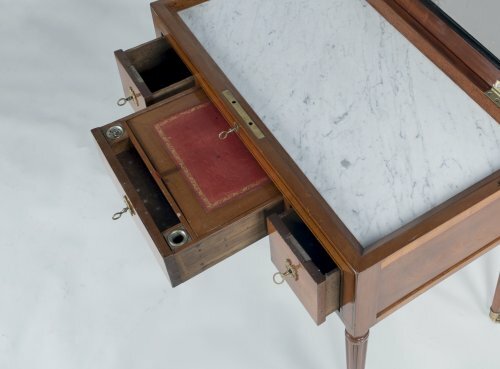 It opens by 3 drawers and the middle one has a writing case.